Deaf Women United declares March as an annual worldwide recognized month that highlights the contributions of Deaf Women to events in history and contemporary society. 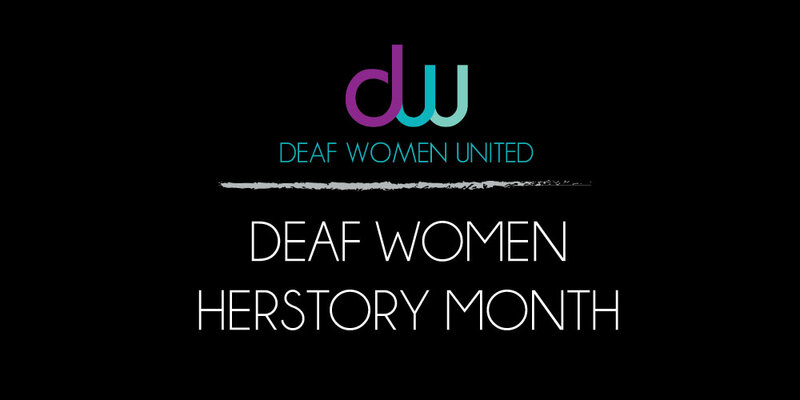 Deaf Women Herstory Month to be featured every year during the month of March. DWU will spotlight 31 Deaf Women that have made significant contributions either as an advocate, artist, athlete, educator, entrepreneur and/or trailblazer.